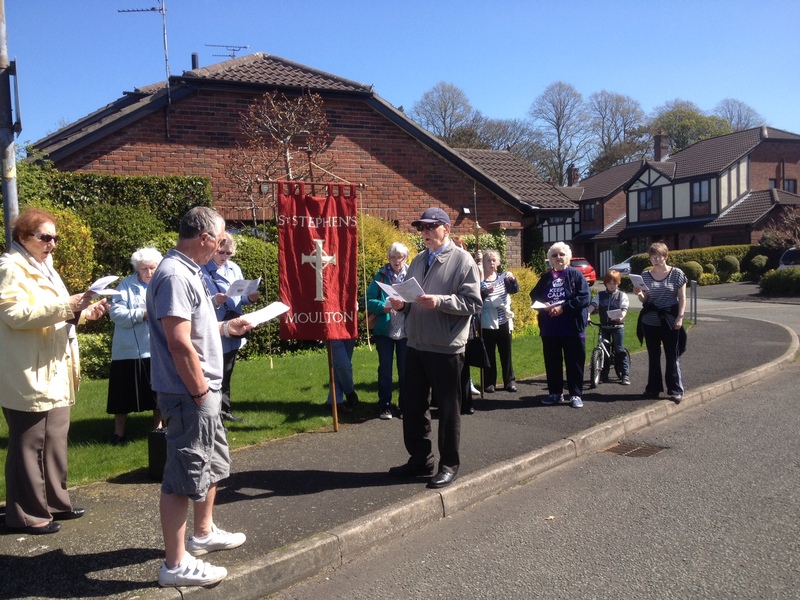 Five days after our joyous procession from The Methodist Chapel to St Stephens on Palm Sunday we hold our Good Friday walk of witness. Again meeting at The Chapel (at 12 noon usually) we process around the village carrying the cross and stopping off to pray, sing and read at various locations. We again then retreat to The Church Hall for refreshments before going into Church at 2pm for an hours devotion before the cross.